Also Known as: Flowing Floor Screed / Flo Floor Screed / Anhydrite floor screed / Hemihydrate / Gypsum. Brand Names include: Gyvlon – Truflow – High Flow – Cem Flo. Liquid Flowing screed can be used in both new build and renovation projects, it is suitable for domestic and commercial buildings and has been used in hospitals, schools, colleges, department stores, hotels and airport buildings. 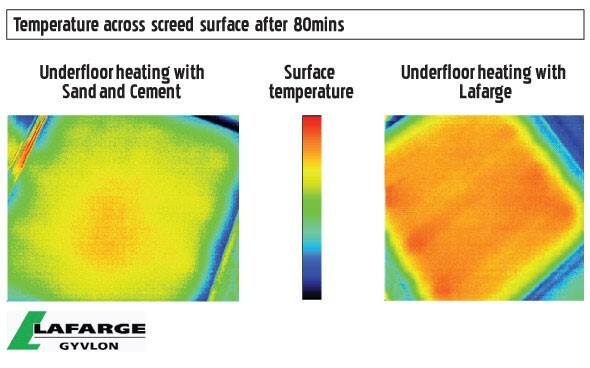 The standard installation tolerance for liquid floor screed is SR2 +/- 5mm under a 2m level. A traditional floor screed is generally installed to an SR3 tolerance which is +/- 10mm under a 2m level. The flatter the floor screed the easier it is to lay floor finishes. Liquid floor screed is pre mixed and the viscosity is checked prior to installation to ensure it is consistent and in line with the manufacturers installation guidelines. It is very difficult to put quality control measures in place with traditional screed as there can be wide variations during site installation. Gyvlon floor screed has extremely low shrinkage which reduces the risk of cracking and will not curl. Flowing Floor Screed can be laid at lower depths than traditional screed, 25mm bonded, 40mm on to insulation and 50mm on to underfloor heating. The reduction in depth can result in liquid screed being a more competitive option than sand and cement, the reduction in depth also means that the screed is ready to receive floor finishes quicker than a traditional screed. See our technical stuff page to make direct comparisons for your project. Lower depths in screed will also make an under floor heating system more responsive during heat up and cool down. Installation requires preparation and should be made up with the following prior to screed being poured. DPM (damp proof membrane),Slab, Insulation, Vapour Barrier, and then the Floor Screed can be laid. DPM, Slab, Insulation, Vapour Barrier, Underfloor Heating Loops, Floor Screed. We can also install on upper floors where a beam and block construction, or concrete plank is used. Where this is the case, you will not need to install a DPM, However, the vapour barrier is still required. This is because the vapour barrier is required by the manufacturers of the insulation, to prevent contamination by floor screed. However, the vapour barrier also forms a separation layer to minimise cracking should movement occur below the screed. Edge insulation, (perimeter strip) should be placed around all walls to separate the floor screed from the walls and any vertical pillars that extend into the floor. Don’t forget the joints….especially with under floor heating. Liquid screed can be installed in bays up to 900m2 without joints (flowing screeds have a thermal expansion of c.0.012mm/mk) with consideration to aspect ratio and re-entrant corners. Further consideration needs to be made with respect to zones for under floor heating. 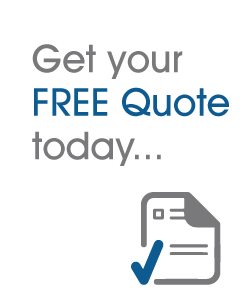 Midland flooring are so confident that our installation will be defect free that we offer a 5 year insurance backed guarantee with our installations. We complete quality assurance documentation, specific to each installation, which is available on request. Our installers also install under floor heating systems, so when we arrive on site if we see something is incorrectly fitted we will usually highlight this before it is embedded into the screed we install. Liquid Flowing Floor Screeds contain very high amounts of recycled material some up to 36% making this product environmentally friendly. What can I walk on the floor screed? Liquid Flowing Floor Screed can be walked on in around 48 hours dependent on the temperature maintained in the building. As experts in the installation of all kinds of concrete and screed flooring, we are confident that we can install a defect-free liquid screed floor. This is why we offer a 5-year insurance on all screed floors we install, backed by our no-quibble guarantee. Our installation team have vast experience of laying screed floor with underfloor heating systems too. You can trust us at Midland Flooring to have the know-how, experience and technical expertise to complete the installation and complete it well! Using up to a third of recycled materials, liquid screed floors are becoming the most sought after flooring solution for both domestic and commercial customers. Screed floors are robust, hardwearing and are non-combustible too, tested to part 4 of ZB5476.